Louisiana produces some of the sweetest oranges anywhere and is a good place to grow citrus trees. With a little tender, loving care, each tree can produce an abundance of fruit that is good for your health. Begin growing oranges, satsumas and other citrus now, and in a few years, you will have so much fruit, you'll have to give most of it away to friends and neighbors. Growing citrus in Louisiana can be rewarding. Determine the locations that would be best for growing citrus. Pick a sunny spot for each tree. 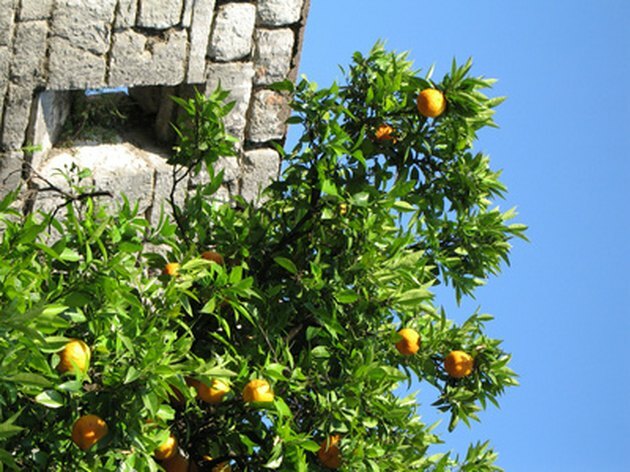 Try to find spots that have some protection, such as near a house or near a solid fence, because winter freezes can sometimes kill citrus trees,. Protection on the north or west sides is best. Make sure that every spot you choose for your citrus trees is well drained. Water accumulation will rot the roots and promote mold on the trunk or leaves. Decide what you want to grow. Oranges, satsumas, kumquats, grapefruit, tangerines, tangelos, mandarins, lemons and limes can all be grown in some parts of Louisiana. 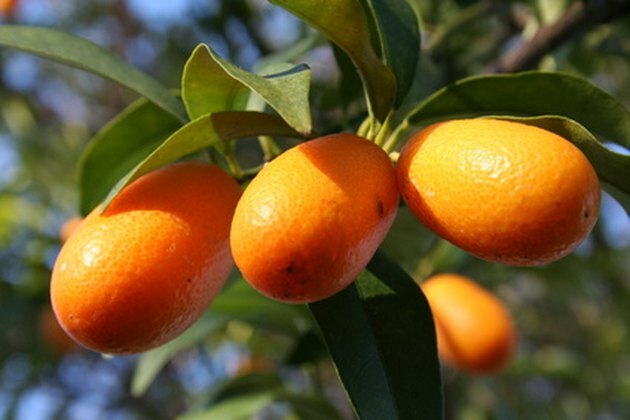 Satsumas and kumquats can be grown everywhere in Louisiana with proper care. Varieties of oranges that are recommended for Louisiana are Washington Navel, Louisiana Sweet, Hamlin Sweet, Pineapple Sweet, Plaquemines, Valencia, Moro Blood Oranges and Ambersweet. Louisiana Sweet and Washington Navel are the only orange varieties recommended for south and central Louisiana. None are recommended for the northern parishes. Louisiana Sweet and Washington Navel are very sweet varieties--you will probably never find any variety at the store as sweet. Recommended varieties of Satsumas are Owari, Armstrong Early, Brown's Select and Kimbrough. Owari is the only one recommended for the northern parishes; all others are recommended for central and south Louisiana. Of the grapefruit varieties, Ruby Red and Rio Red are recommended for south and central Louisiana only. No grapefruit varieties are recommended for north Louisiana, because grapefruit is more sensitive to cold weather. You can grow kumquats throughout the state, although they require some protection in the northern parishes. 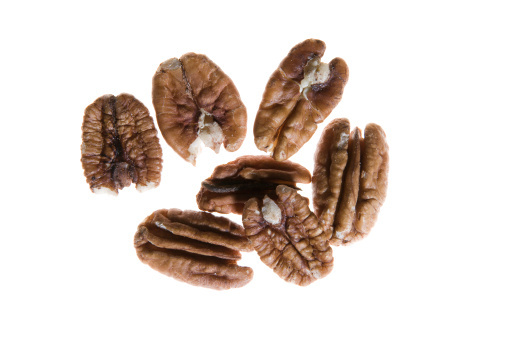 Nagami and Meiwa are the recommended varieties. Meyer lemon is the only lemon variety recommended for Louisiana. It can be grown throughout south and central Louisiana. Tangerines, tangelos, and Mandarins are only recommended for the southernmost parishes. Recommended varieties are Ponkan Mandarin, Orlando Tangelo, Dancy Tangerine, Robinson Tangerine and Sunburst Tangerine. Lime trees are the only tree that produce fruit year-round. Make sure you plan enough space between your tree and any adjacent walls. Find out the width of each tree is when full grown. Then, divide the width of the tree in half. For example, if the mature width will be 12 feet, half of that width would be 6 feet. Add about 4 to 5 feet to that half. This will be the distance you need from any wall or fence to the center of your tree when planted. You will need the extra 4 or 5 feet to make sure you have adequate air flow around the tree. Good air flow will minimize pests and diseases for your tree. Mark each spot for planting at the center of where the trunk should be. Buy your trees at a local nursery. Choose only trees that have no dead branches, have good foliage, and have the most flowers of the trees in stock there (if you buy during the time of flowering). A 3-gallon container will hold the best tree for planting. Trees in 1-gallon containers will take much longer to reach a stable size. Five-gallon container trees are much heavier and more expensive, and will not reach a large size much faster than a 3-gallon tree. The best time to plant is in January and February; this planting time will give your trees the best chance of survival. Container trees are the easiest to handle. Larger trees may be sold as balled and burlap, which are often too heavy for one person to handle. Balled and burlap trees have burlap cloth wrapped around the rootball. Bare-root trees are lighter, but they must be planted within a few hours of purchase. 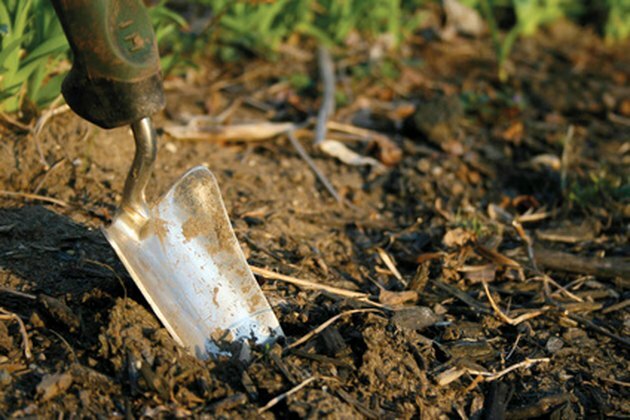 If the soil is too hard, try wetting it a little bit to make it easier to dig. Dig a hole at each spot you have chosen for your trees. First, center the tree container over the spot you have marked. Put on your gloves, to protect your hands, and take your shovel and push straight down with your foot about 2 inches outside the container's edge, all the way around the container, making your cut as vertical as possible. This will form the outline of your hole. Remove the container. Push the shovel back into one of the cracks you have formed, and lift the dirt out from the hole. Keep digging down, not further out, until the hole is a couple of inches shorter in depth than the depth of the soil in the container. Put the container in the hole, and make sure that the top of the soil in the container is higher than the surrounding ground by 2 or 3 inches. Turn the tree upside down next to the hole, holding the soil at the top of the container with your hand. Pull the container off with the other hand. You may need to push a little bit on the sides of the container to help loosen its grip on the soil. Take the tree and its soil and turn it right side up again. When roots run up and down and across all over the outside of the soil, it is called root-bound. For root-bound trees, loosen all of the exposed roots. Cut in half any roots that are wrapped all the way around the soil. Place the soil with the roots in it into the hole, and make sure that the tree branches face in the directions you prefer. Fill the gaps in the hole with some of the soil you have removed. Water the soil until it is soaked thoroughly, and make sure that the soil has consolidated well. Unless it rains hard, water the tree every day for seven days. After that, you can stop watering. Water your citrus trees whenever there has not been a rain or standing water for two weeks or more. Louisiana does not normally have a problem with dry weather, but there are dry spells in which you must water or you will lose the plant or the fruit. Fertilize your citrus trees in mid-March the first and second year with 1/2 lb. of 8-8-8 or 13-13-13 fertilizer. A pint of 13-13-13 fertilizer is equal to 1 lb. Fertilize in early February from the third year to the 12th with 1 1/2 lbs. of 8-8-8 or 13-13-13 for each year of growth. Use 18 lbs. after the 12th year. Count the year you plant the tree as the first year. Fertilize just beyond the outside reach of the branches in an 18 inch wide circle around the tree. Apply ammonium sulfate or ammonium nitrate In late May or early June at a rate of 1/4 lb. during the first four years. Substitute 1/2 lb. of calcium nitrate for the fifth and subsequent years. You can also use compost throughout the year. Don't fertilize after June. It will promote more growth of the leaves and branches and the fruit will set later in the winter, allowing more chance for a hard freeze before they ripen. Some pruning just after the fruit has been picked can sometimes increase your harvest the next year. Prune the trees within a couple of weeks after you have removed all of the fruit, as they normally flower again within six weeks. How soon they flower depends on how severe the winter has been. Prune away dead limbs, the tips of the branches, and any branches that point towards the center of the inside of the tree or any branches that point straight up. 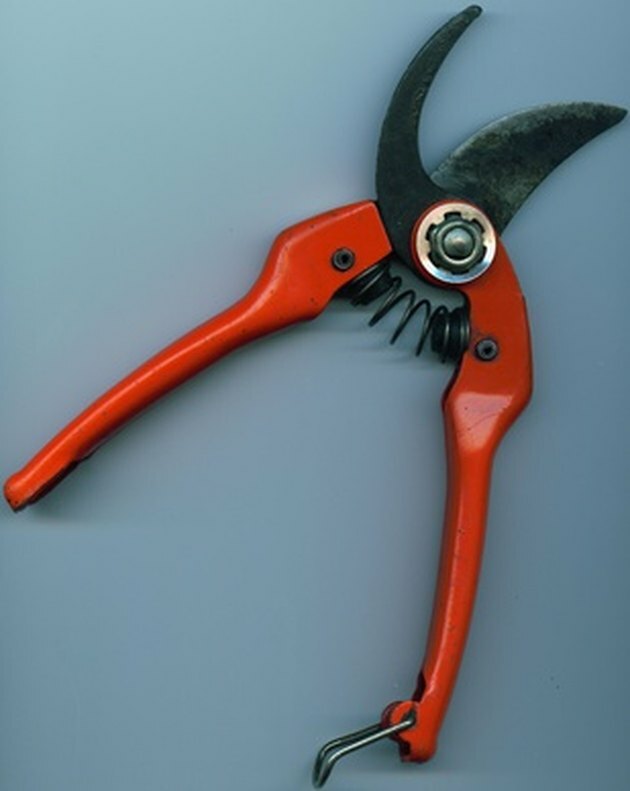 Don't prune any more until the next year, unless you are pruning away dead limbs. Inspect your trees regularly for insect infestations or disease. Cover your citrus trees with a tarp or wrap it in an old blanket if a hard freeze is predicted. Take an extension cord with a light bulb, and place the light bulb near the trunk bottom. Use a cord is manufactured for outdoor use and make sure you do not place the light bulb so that it can touch anything. If the tree is too big for this, turn on a water sprinkler and let it lightly sprinkle water on the leaves and branches through the night. This will help to insulate the tree from the colder temperatures on the other side of the ice it creates. It is crucial to protect citrus trees in winter in the northern parishes, because freezes are more frequent and harsher in those parishes than in the southern half of the state.